Yes, the beans are back! You all know that I have a sweet tooth and lately I’ve had this thing with beans. I’m wanting to put them everywhere, and in places they aren’t intended to be, like sweets. Nutritionally, beans are a powerhouses, full of plant protein, fiber, calcium, iron, and magnesium, which are all great for a well balanced diet. So why just save them for dinner? 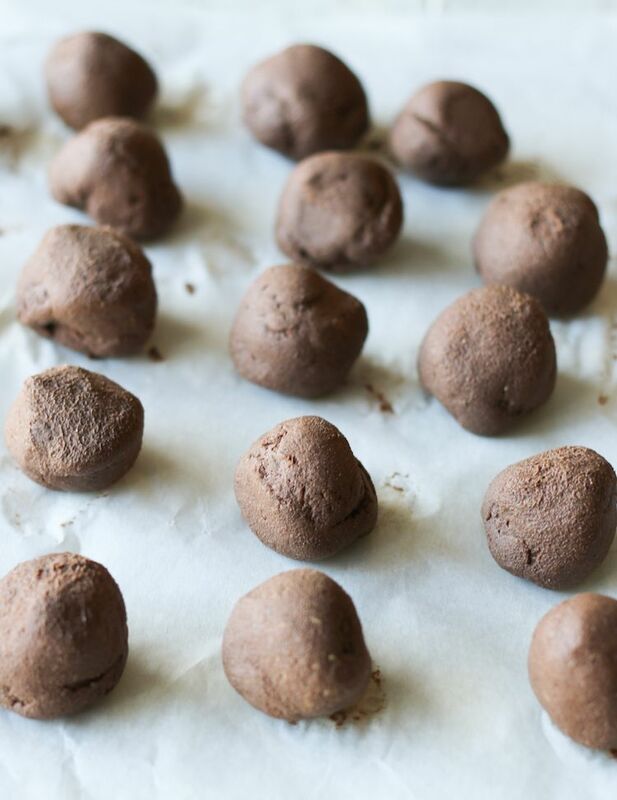 These black bean brownie balls are ridiculously simple and only 5 ingredients. 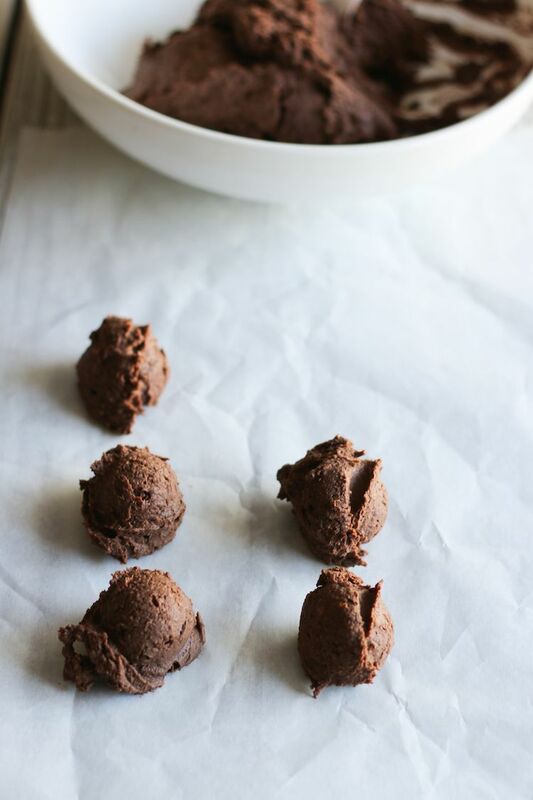 This recipe was adapted from my Black Bean Banana Brownie Recipe, and eventually turned into an easy decadent ball of chocolate goodness. 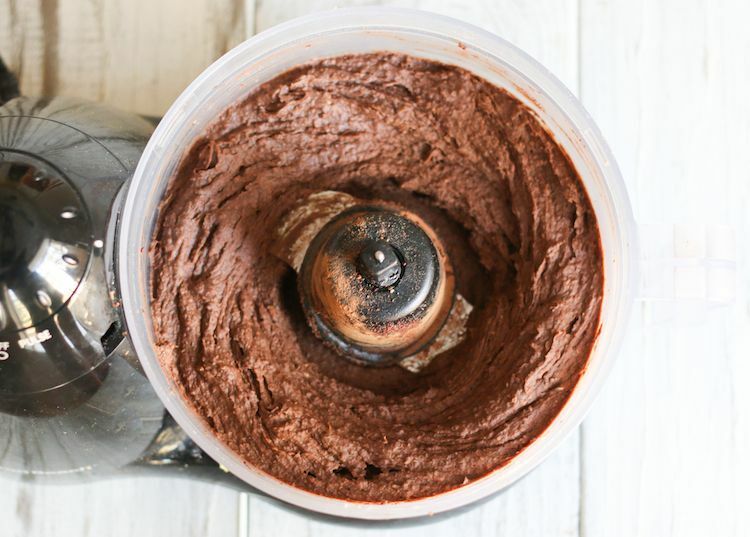 They require a handful of ingredients, most of which you probably already have on hand, and all you need is a food processor, so clean up doesn’t get much easier than that. 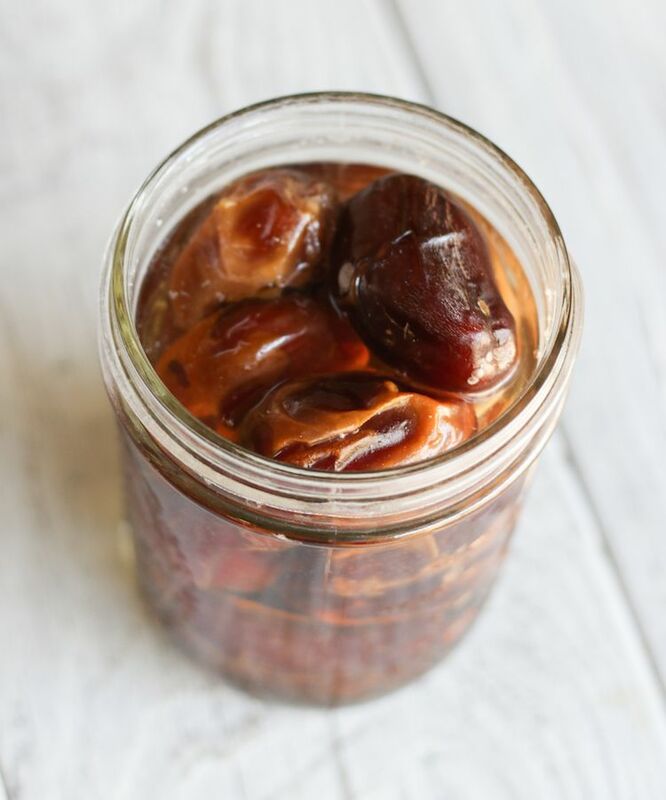 Besides being simple to make the are insanely delicious. 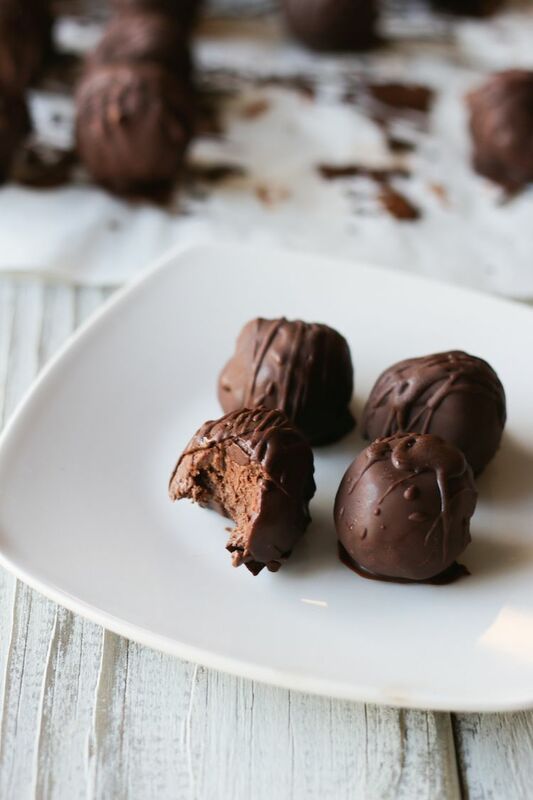 These brownie bites can be eaten as a quick energizing pick me up or you can cover them in chocolate and eat them as a healthy dessert. 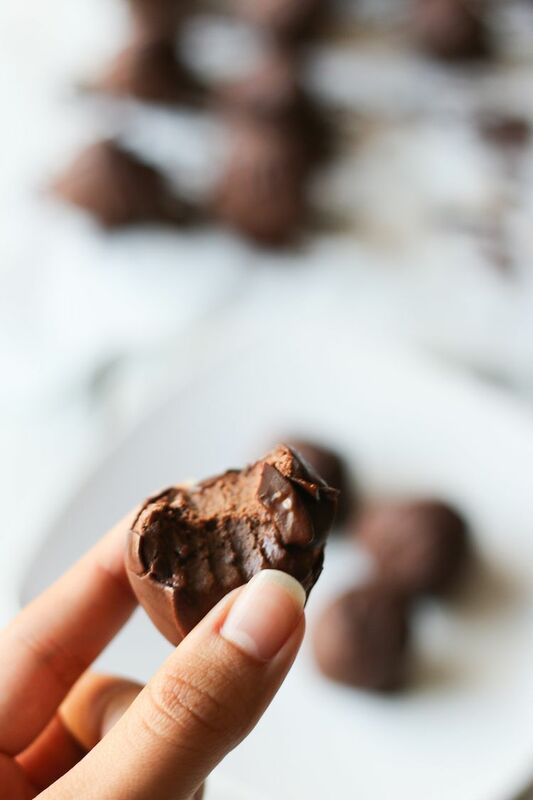 This is my favorite way to enjoy them, plus they are perfectly sized to help you practice moderation, (I’m a sucker for chocolate) which can be a challenge with this recipe. I love make healthy things taste good. You won’t even know they are made with black beans. I also made these nut-free since I’ve been asked to make more nut-free recipes. For those that are grain free or looking for a oatmeal alternative. You can use almond flour or coconut flour as a substitute. I also like to add hemp seeds and chia seeds in the recipe just to up the protein content, mostly because my kiddos love them. I take advantage of any opportunity to pack in more nutrients for my kids. But for this recipe we are going to keep it only 5 ingredients but feel free to add ingredient in as you’d like. Make sure you've rinsed and thoroughly drained your black beans. 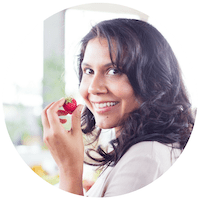 Add ingredients into your food processor and puree - about 3 minutes - scraping down sides as needed. You want it pretty smooth. If the batter appears too thick, add a Tbsp or two of coconut milk/ water and pulse again. It should be slightly thick like cookie dough. Use a 2'' ice cream scoop or spoon to scoop out enough dough to make bite size brownie balls. Roll and store in fridge. 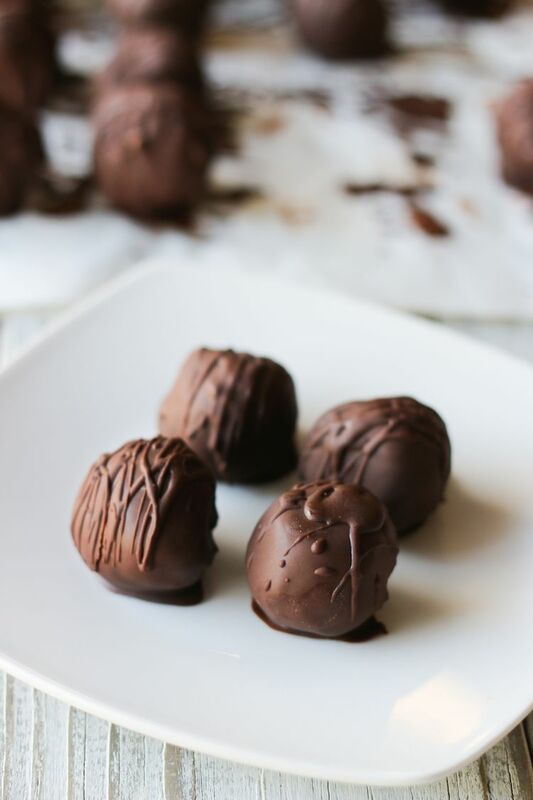 Optional: Dip your brownie balls into your favorite chocolate sauce and allow them to harden in the fridge/ freezer. Made these today for a women’s game night and they were a hit. Looking back on the ingredients – I forgot vanilla. Oops. I did add a splash of water to it and a little maple syrup, plus a bit more cocoa powder and oatmeal. I melted traderjoes chocolate chips with about a tablespoon or less of coconut oil and dipped them in it. I sprinkled hot cocoa mix from Stonewall kitchen on the top. Delicious. I will definitely be saving this recipe. Thank you! You did not write that the half cup of black beans must be cooked. I have not tried the recipe, so I don’t know how it tastes. But it looks great!